Daily life at Warlukurlangu Arts. 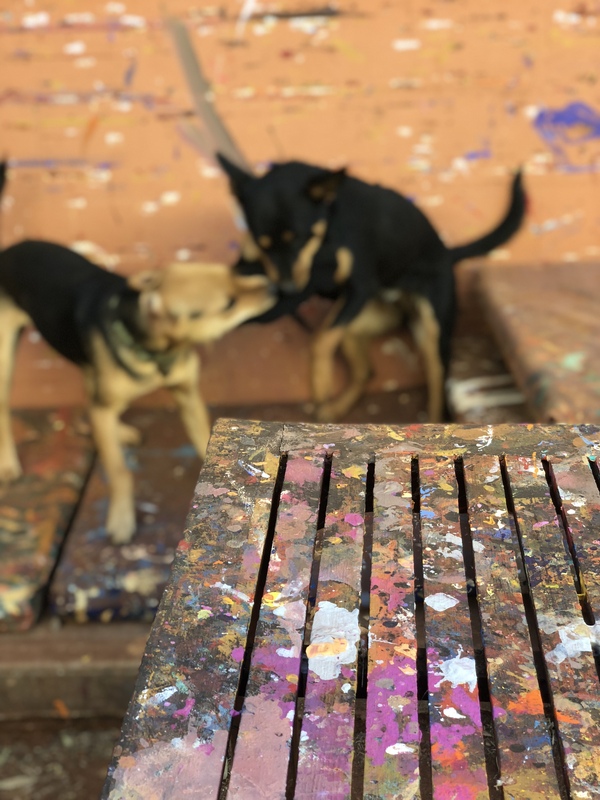 Jostling dogs and a table splattered with a kaleidoscope of colours. Pic taken on Yaama Ganu visit July 2018. WARLUKURLANGU ARTISTS. STOCKROOM EDIT. PLEASE CONTACT THE GALLERY FOR DETAILS.